Examples of raised beds in the Eagle’s Nest. The Eagle’s Nest is a project initiated by Nick Srygley in 2012 as a requirement to receive his Eagle Scout Award. Nick’s project focused on the design, fundraising, and the construction of the parameter fence. Upon conclusion of construction, the Rockwall County Master Gardeners created the raised beds and named the area “The Eagle’s Nest”. This area of the garden is surrounded by the bright green picket fence. In heavy clay soils, residents may want to consider gardening in raised beds. Simply use the ground as a platform on which to build. 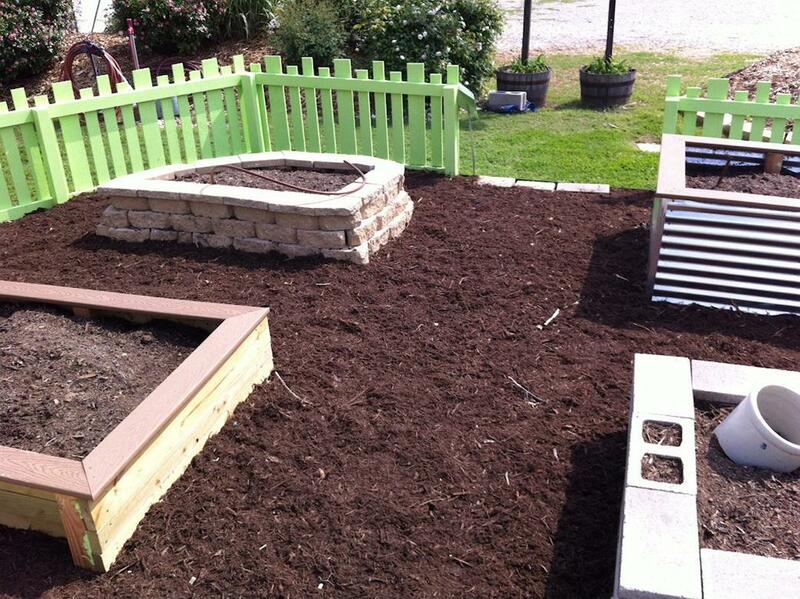 There are many different concepts in raised beds. In the Eagle’s Nest we showcase just a few. Consider the cost and what fits your gardening needs before you start your raised bed area. The Master Gardeners have documented that the metal sided beds become very hot in summer and only heat tolerant plants such as herbs and vegetables can withstand the high temperatures of July and August.